Welcome to Day 2 of my fourth Use It! class. Trim patterned papers to size. 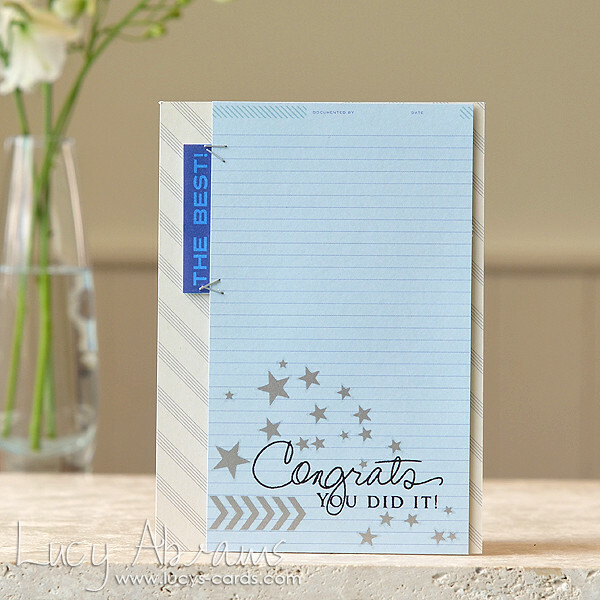 The diagonal stripe paper measures 5 1/2 x 4" and the blue notebook is 5 1/2 x 3 1/4". 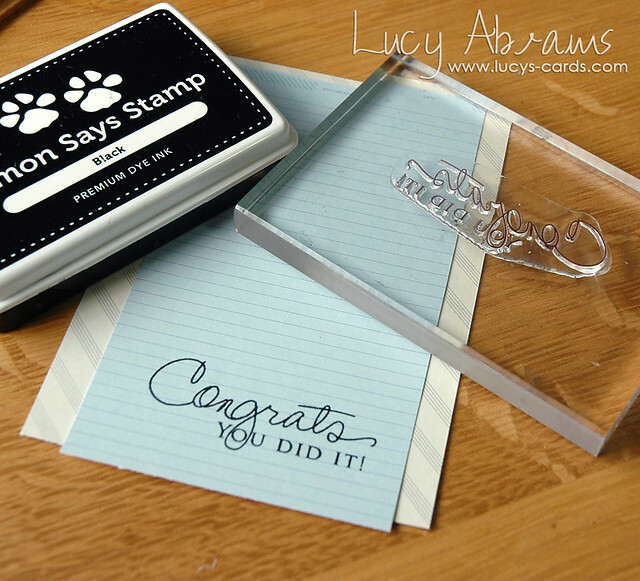 Stamp the sentiment in black ink. TIP: trim the rub ons you wish to use from the sheet. This will help prevent bits sticking from the rest of the pack. Continue applying the rub ons to the card. 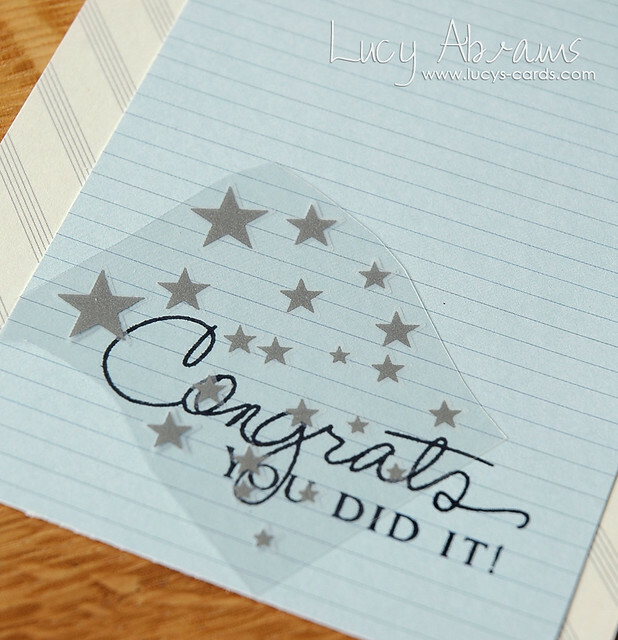 I really wanted to add this sticker to my card, but wanted to keep the card masculine. My solution - colour it in. I chose a Copic marker that was similar in colour to my blue paper, adhered my sticker to some white paper and coloured away! This is a great way to get more from your supplies. 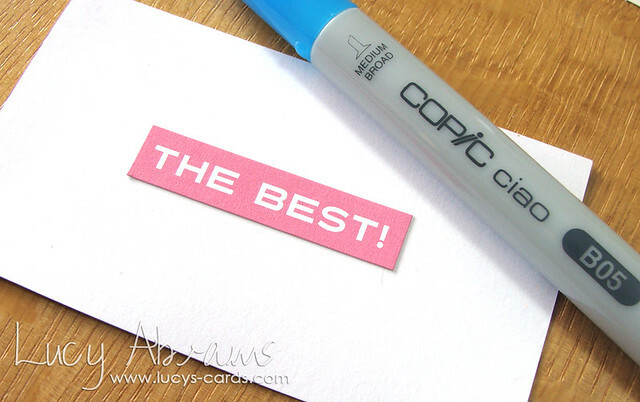 TIP: I tested the colour first on one of the stickers I knew I would never use! Trim the sticker out from the white paper so it is no longer sticky. 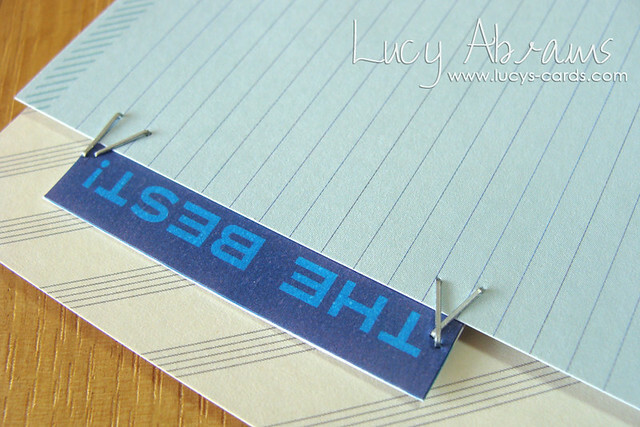 Adhere the sticker to the reverse of the blue paper and add some mini staples. 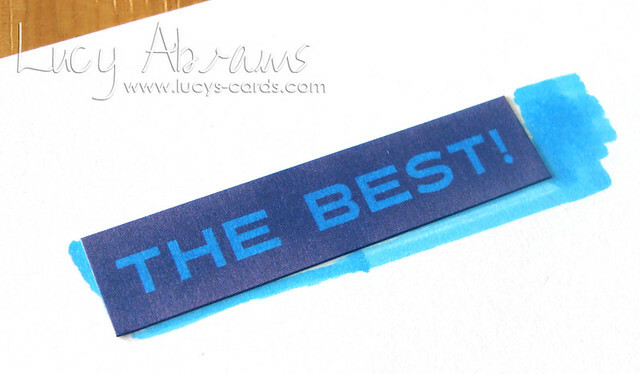 Adhere the blue panel to the stripy paper with foam adhesive then adhere to a notecard. And the card is complete. I hope you enjoyed today's class. Tomorrow is Lesson 3: Shaped Cards. I love it when you do tutorial!! Awesome manly card! 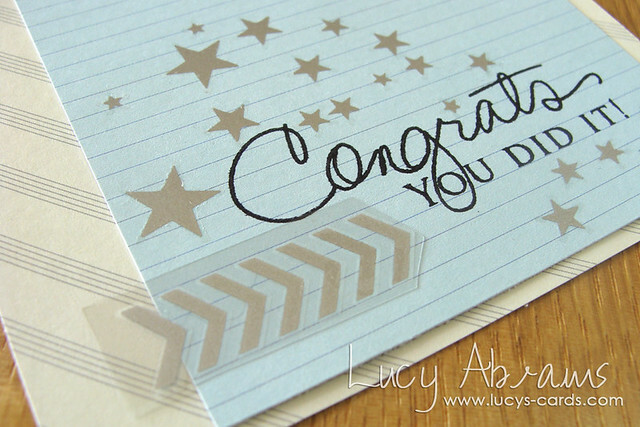 Thanks for sharing, Lucy! Can't wait to see the shape card tutorial! I love this CAS masculine design! 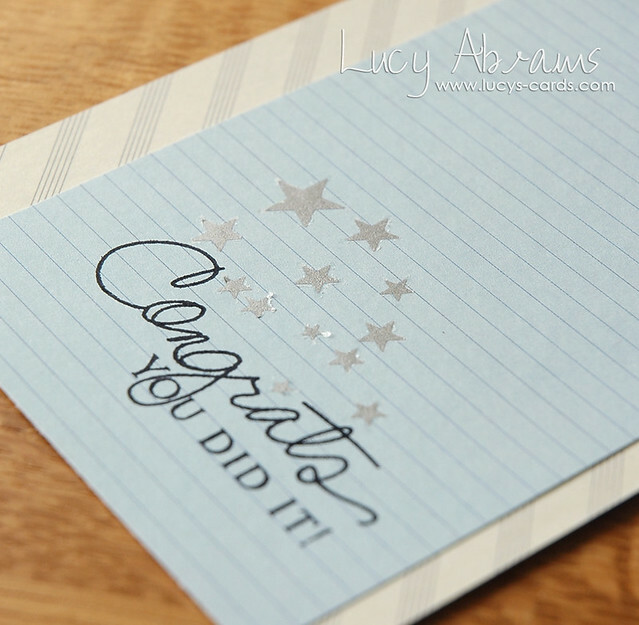 And what a great idea to colour a sticker to match the rest of the card!!! Great card! Love the sticker at the edge. It looks so simple but yet it is so eeh finished, just perfect! Thanks for the tip on the sticker. Very clean and love how it has a masculine feel. 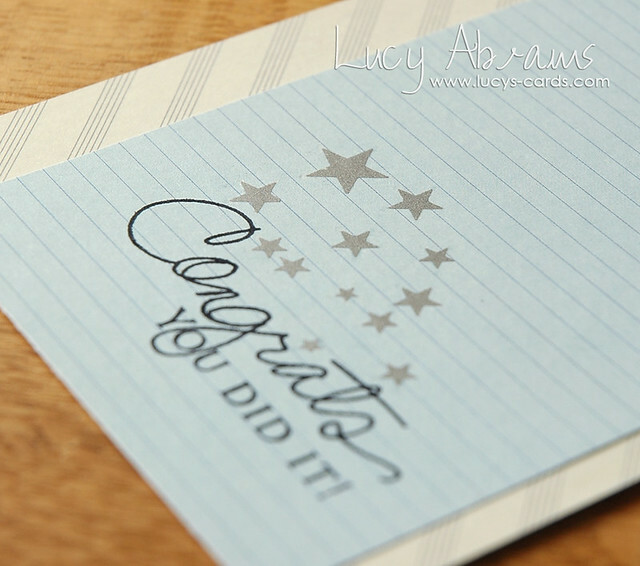 Love your subtle use of patterned paper and the sticker on the edge - it adds a really designer touch!